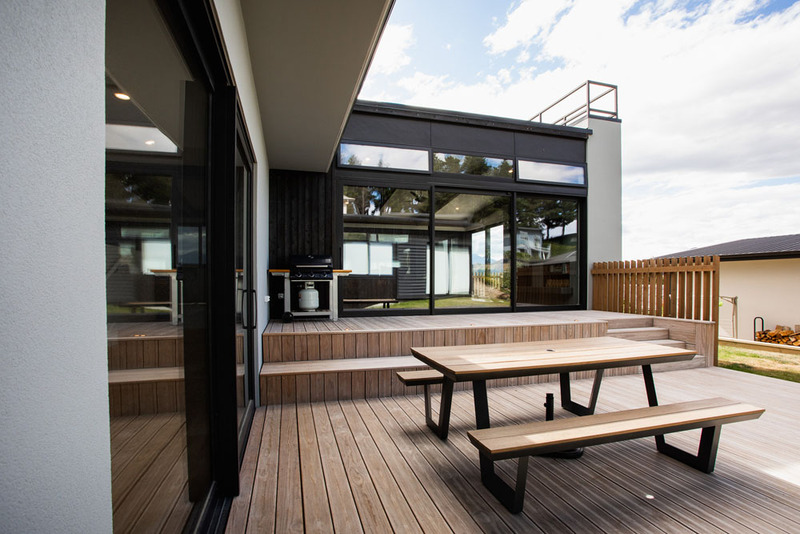 A sloping site meant that this home needed to be specifically sited to ensure that the outstanding views over the tops of the surrounding houses could be taken to full advantage. 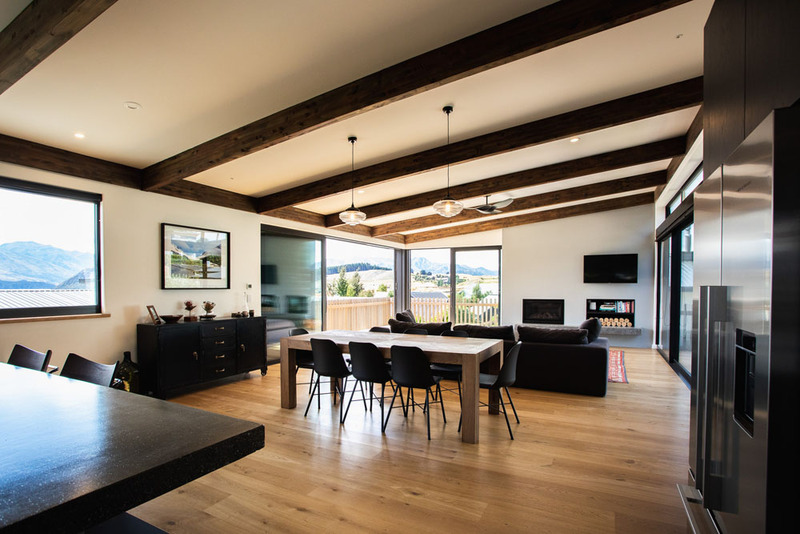 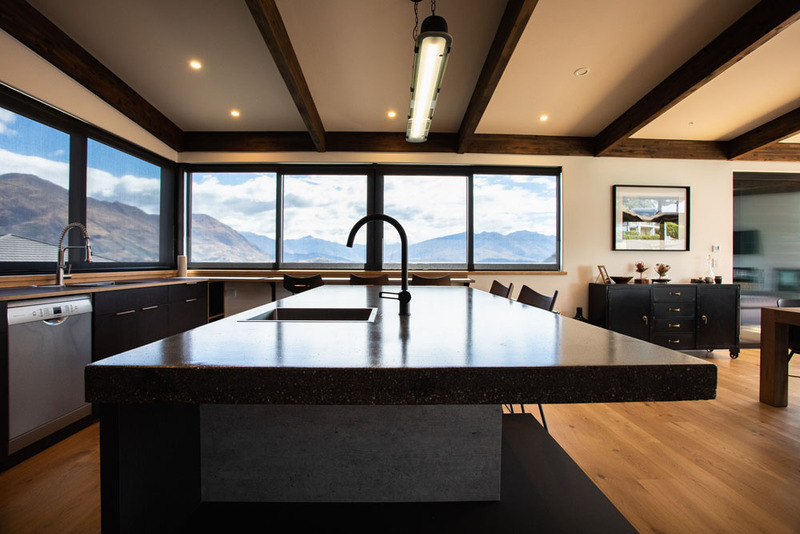 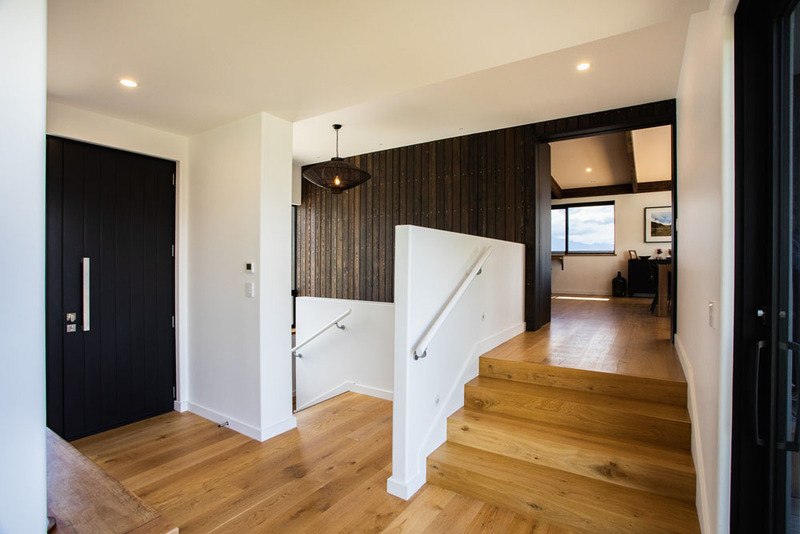 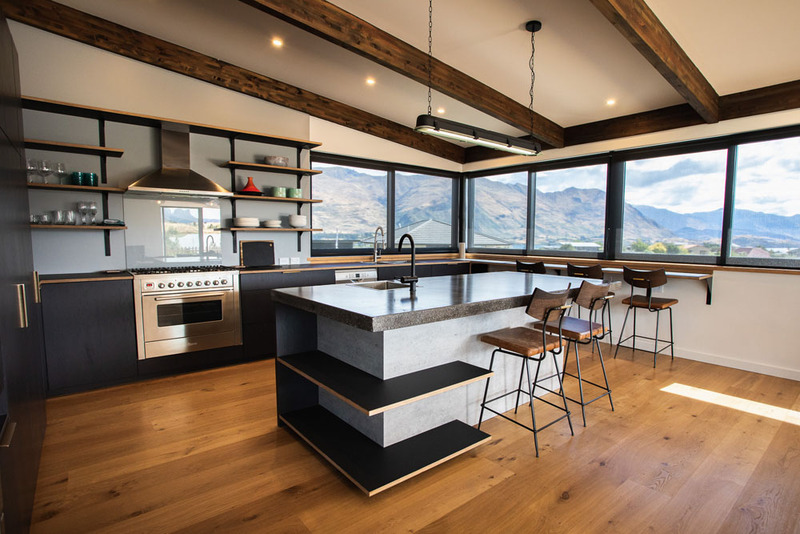 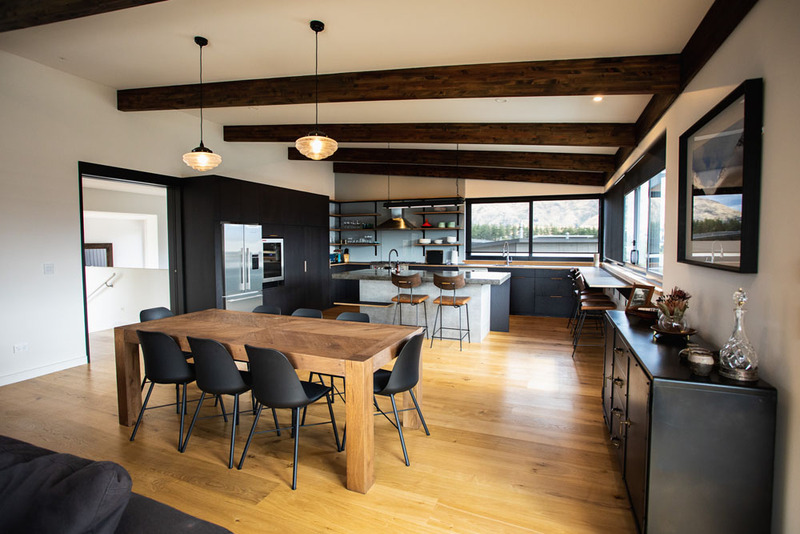 The result is an open plan kitchen living space with stunning mountain and lake views, exposed beams and a timber floor, generous windows and doors creates a sun bathed warm and inviting space that has seamless access to the outside spaces. 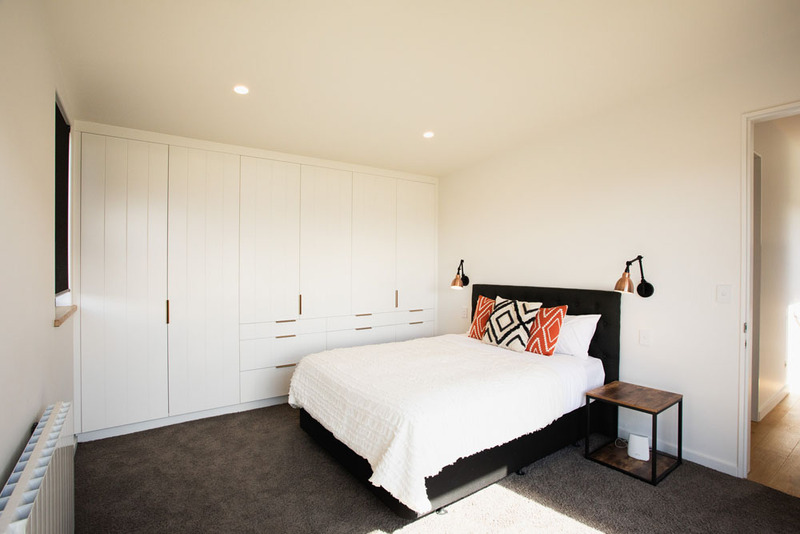 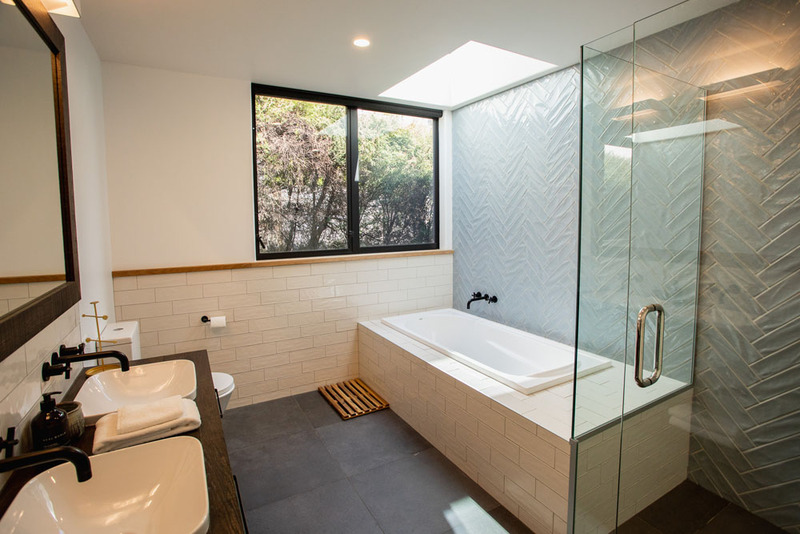 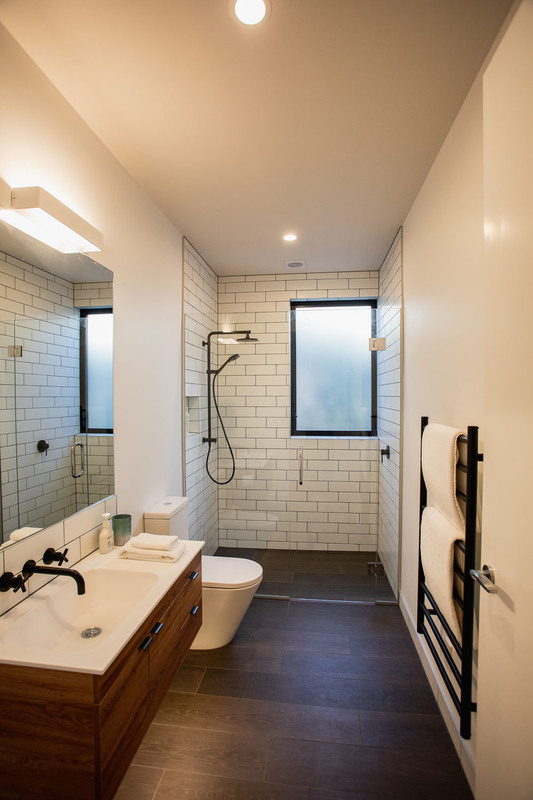 Bedrooms are situated in the rear wing are accessed by an open and light hallway, the large basement garage uses the fall of the land to provide exceptional storage and internal access. 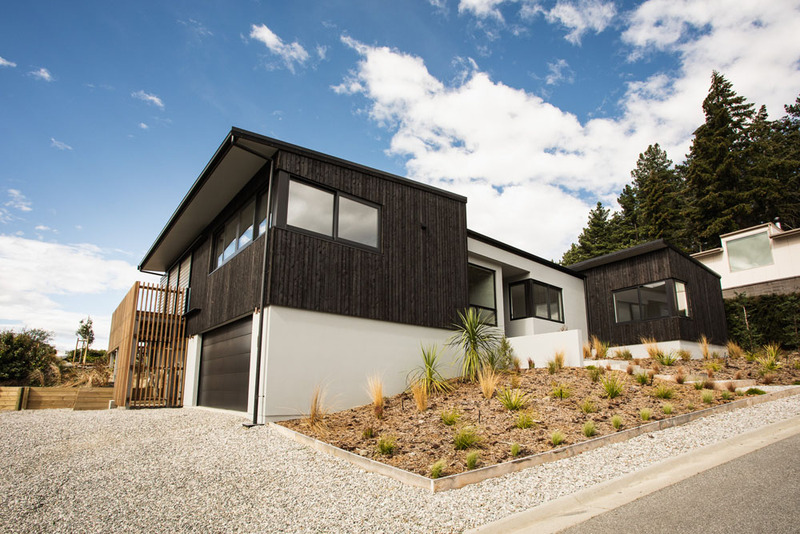 The charred timber exterior and low-pitched roof line gives this house a modern contemporary feel.